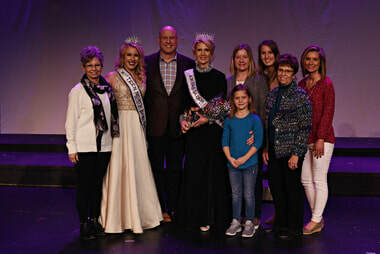 The North Dakota International Pageant System showcases the accomplishments of today's married women, young women, and teens across North Dakota. Our mission is to make a difference. 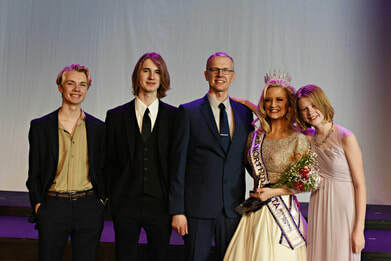 The International Pageant system has been developed to promote the accomplishments of today's married women, young women, and teens, as well as their commitment to family and marriage. Around the world, women of all ages are finding this system to be an opportunity to work with their family and community to become positive role models. Being the premiere pageant for married women, young women, and teens has given The International Pageant System a chance to open doors for all women around the world. The national event will give each contestant the opportunity to learn about customs and family life in other countries, along with the chance to share her beliefs and make new friends. Pageants are a great way to build confidence and develop the discipline necessary to achieve goals. The benefits that any contestant can gain from competing does not require “winning” at all. It simply requires a willingness to be open to this once in a lifetime opportunity. Pageants are a wonderful way to build character and poise while becoming the best individual you can be. Some of the invaluable skills that you will gain from competing in a pageant are good sportsmanship, verbal communication, time management, and goal setting. Interviewing, filling-out applications, and articulation skills learned during the pageant process will also help in other walks of life. When you learn how to apply makeup properly, carry yourself with grace, and speak with conviction about a platform you are dedicated to, you gain confidence that will allow you to overcome hindering shyness. Confidence breeds confidence. Just being around other confident young woman will change the way you carry yourself in social situations. Most of all, it's fun! We invite you to begin your journey today, click here to get started! Beginning in 1988, Mrs. International® was developed to have higher standards than other pageant systems. Each contestant has the opportunity to select a platform of her choice that she spends the year promoting. Photos by Mabelle Photography © 2019. All Rights Reserved.